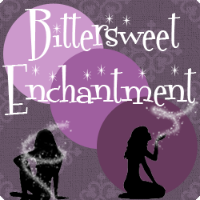 Bittersweet Enchantment: Book Blog Tour: Flock by Wendy Delsol / Author Interview + Giveaway! 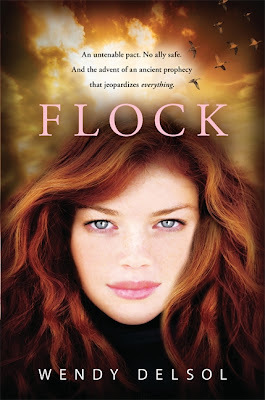 Book Blog Tour: Flock by Wendy Delsol / Author Interview + Giveaway! Today is my stop on the Flock book blog tour. Flock is the 3rd book in the Stork Trilogy. I will be sharing with my readers a fun author interview I did with Wendy Delsol. As well as a giveaway to win all 3 books in the series. The climactic conclusion of a supernatural romantic trilogy starring a savvy, sharp-tongued heroine who taps into ancient Norse secrets. After surviving her (shall we say) intense adventure in Iceland, Katla is psyched to be back for a blissfully uneventful senior year of homecoming and fashion explorations. But her hopes of dodging unfinished business are dashed by the arrival of two Icelandic exchange students: Marik, an oddly alluring merman-in-disguise, and Jinky, a tough gypsy girl. It seems Katla not only enraged the Snow Queen by rescuing her boyfriend, Jack, she also was tricked into promising her frail baby sister to the water queen — and Marik has come to collect. What’s worse, Katla doesn’t dare confide in anyone lest she endanger them, so even her soul mate, Jack, is growing suspicious. And now Katla’s stork dreams, her guide for matching babies with mothers, have become strange and menacing as well. Hold on for a thrilling finale as the heroine of Stork and Frost calls on her wits (and her wit) to protect those she loves and face a final mythic disaster. To check out more info on the 1st and 2nd book in this series click - HERE & HERE. Tell me something about yourself? Who is Wendy Delsol? lived twenty years in L.A., and currently reside in Des Moines with my husband and two teen sons. 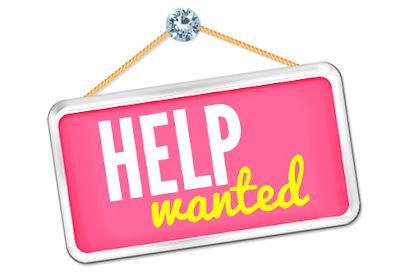 When did you know you wanted to be a writer and why? (debilitating migraines) motivated me to take a risk on a secret dream. Where did the idea for your books come about? The idea came about years ago from, crazily enough, the TV show Unsolved Mysteries. It aired a story once about a very young boy who claimed a pre-birth memory of hovering and choosing his mother. I was fascinated, and it stuck with me for years. Have you always been into mythology? I’ve always been intrigued by stories of the paranormal or mystical (which explains why I was watching Unsolved Mysteries in the first place). Because the formula for fiction is conflict, conflict, conflict, I decided my protagonist needed more obstacles than just a new magical ability. I decided, therefore, to make her the new girl in town. I took her from the beaches of L.A. (because that was where I had just moved from) to a small town in northern Minnesota, which made for an extreme shift in both climate and culture. As soon as I selected Minnesota as my setting, the pockets of Scandinavian communities came to mind—as did Norse mythology. With your upcoming book Flock soon to be released, do you plan on continuing the series or is this the final book? Flock is the third and final in the trilogy. And I did give the series a definitive ending. I do not expect to return to the characters. I’ve left them in a good place, I think. Who designed your book covers? Did you have any say in what you wanted them to look like? entire jacket: cover art, story summary, blurbs, etc. Candlewick Press, therefore, designed all three of my covers. They were all done from stock photos. I’ve liked all of them. Stork, in my opinion, really captures my descriptions of Katla. I love the main character’s name, Katla. Where did the name come from? maternal heritage in the books. Katla actually means little volcano. I thought this went well with my use of the weather and other such natural forces. Her last name Leblanc , which means the white, is a nod to her being a kind of benevolent or white witch. Describe Katla in 3 words? Tell me more about your writing process. How long does it take you to write a book and where do you do most of your writing from? I write longhand, meaning pencil and notebook. I have an arm injury which prevents me from holding the typing position for too long. Also, I find this process slows me down a bit and forces me to measure my words. It takes me anywhere from six months to a year to write a book. I write from home in a silent environment. I’m too distractible to go to a coffee shop or listen to music or TV while working. Do you have a favorite author or an author who inspires you? I like a lot of authors, and I read in multiple genres. Some of my favorite books are: The Weight of Water by Anita Shreve, The Accidental Tourist by Anne Tyler, Lonesome Dove by Larry McMurtry, and all of the Harry Potter books. In the YA genre, I’ve enjoyed Divergent by Veronica Roth, Wicked Lovely by Melissa Marr, and What Would Emma Do? by Eileen Cook. The author who inspires me is Jane Austen. I know it’s an unoriginal answer, but she wrote in an age when women were discouraged to act or think for themselves. Plus, her wit and character development have stood the test of time. I’m a tennis nut. I play, not well but I sure have fun out there. My younger son is pretty good, so I get to be an avid tennis mom. And I follow the professional tour. Roger Federer is my favorite player. Do you have any other plans for another series or book? I’m working on something in the speculative-fiction /dystopian genre right now. It’s a little too early to discuss, but I’m enjoying the new characters. It will be a stand-alone. What is your favorite fairy tale? Explain your choice. That’s an easy one: The Snow Queen by HandsChristian Andersen. So much, in fact, that my book Frost is a modern retelling. In the 60’s and early 70’s (I’m dating myself, I know), there was an animated TV movie that I just loved. Thank you for being here today, Wendy. Do you have any final thoughts for my readers? and enthusiasm of avid readers is wonderful. And humbling. You guys rock. Aww, your most welcome Wendy. YOU rock too! 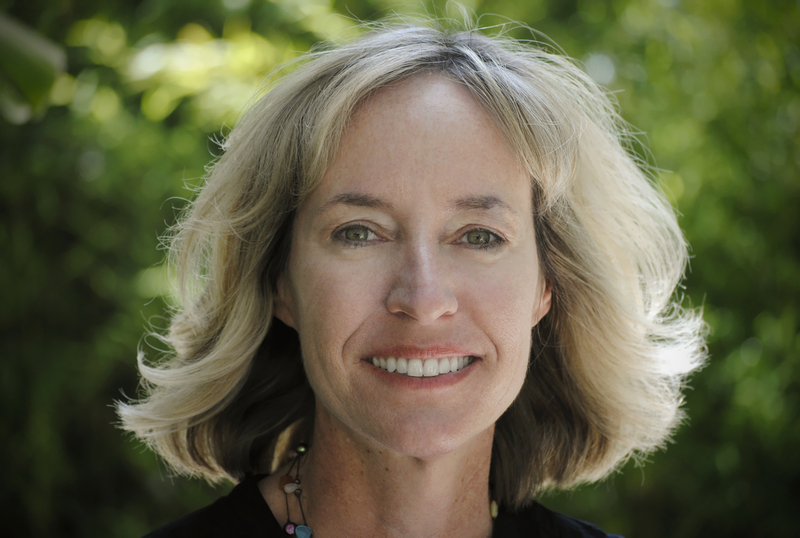 Wendy Delsol is the author of a young adult trilogy: STORK (2010), FROST (2011), and FLOCK (2012). The books are inspired by Norse mythology, adventure and Icelandic folklore. STORK was one of 25 titles out of over 1000 to receive a 2010 VOYA Perfect Ten and one of ten to win a 2011 Westchester Fiction Award. Delsol’s adult novel, THE McCLOUD HOME FOR WAYWARD GIRLS, was named an August 2011 Barnes and Noble Pick of the Week. The book is set in Iowa and tells the story of three generations of women and the secrets that bind them. Wendy has an undergraduate degree from Michigan State University and a graduate degree from California State University, Long Beach. She was born in Canada, grew up in Michigan, lived in Los Angeles for 20 years and now resides in Des Moines with her husband and two teen sons. Use the rafflecoptor form below win a print copy of ALL 3 books in the series. The first entry requires that you must follow MOD PODGE BOOKSHELF via GFC, not Bittersweet Enchanctment. 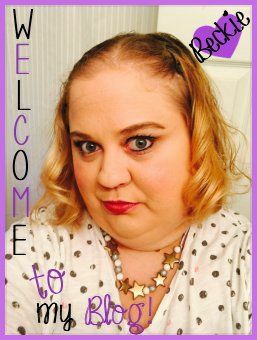 Although I would love any new readers to my blog to follow me as well. Thank you! Enjoyed the Q&A. A new series to follow, love that! And a spciy, tough heroine makes me really want to read these. Thanks for a chance to win these books. Wendy Delsol is an author new to me, so great to 'meet' her. I enjoyed the interview thank you. Wendy is one of my favorite authors, and Katla is one of my favorite main characters. I love her to death. This series has been a favorite since I happily lucked upon Stork in the library. It made me happy. I love all of the covers, but the cover of Stork definitely is more Katla and the story than the others. Thanks so very much for the giveaway! Thanks for sharing this Beckie, this series is new to me but Katla sounds interesting and I love a brave and sacrcastic protagonist. Guess The Book Cover & Win a prize! Sweet Venom by Tera Lynn Childs: FREE! Want to play a game?! I AM GOING ON VACATION! Review Copy Cleanup: ( August Edition ) Wrap Up!